The Second Summit of Muslim Leaders with the County Executive and other elected and appointed officials proved to be an effective antidote to the fear and division created by the tragic bombing in Brussels. Reports we presented from the Shura of MC Imams and the strategic session of Muslim leaders with MCPS. 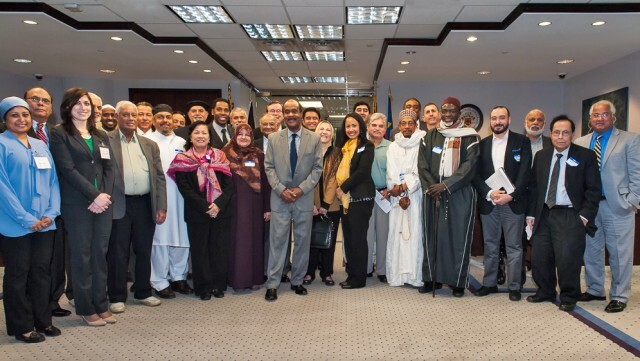 Action items included increasing connectivity with DHHS and MCPD in serving the needs and interests of the Muslim community and engaging with other faith communities in terms that promote mutual respect and collaboration. The County Executive complimented everyone for their good work and noted that to overcome the prejudice and anti-Muslim rhetoric and behavior, and achieve the stated goals, we need to get our message out to the greater community. For example, the increased bullying in public schools is coming from homes in need of learning, respecting and appreciating their Muslim neighbors. Working together we are keeping hope alive. Enjoy the pictures reflecting the spirit of substantive of committed Muslim leaders and public officials.